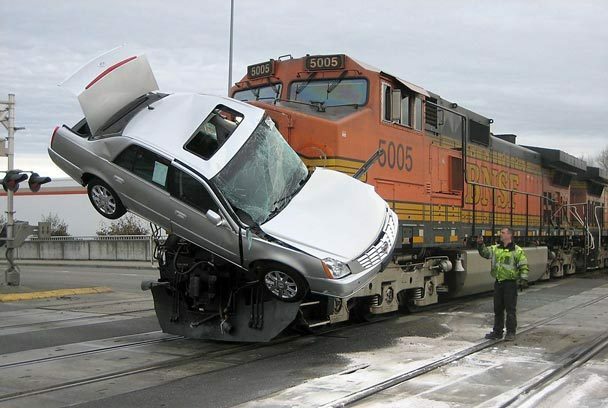 On Friday, January 30, 2009, a car-carrier semi-truck got in the way of a Burlington Northern Santa Fe train. Yadda yadda yadda, the train collected an elegant door prize. For the railfans out there, that’s a General Electric model C44-9W locomotive, number 5005. This entry was posted on Wednesday, February 4th, 2009 at 10:00 am	and is filed under cars. You can follow any responses to this entry through the RSS 2.0 feed. You can leave a response, or trackback from your own site.